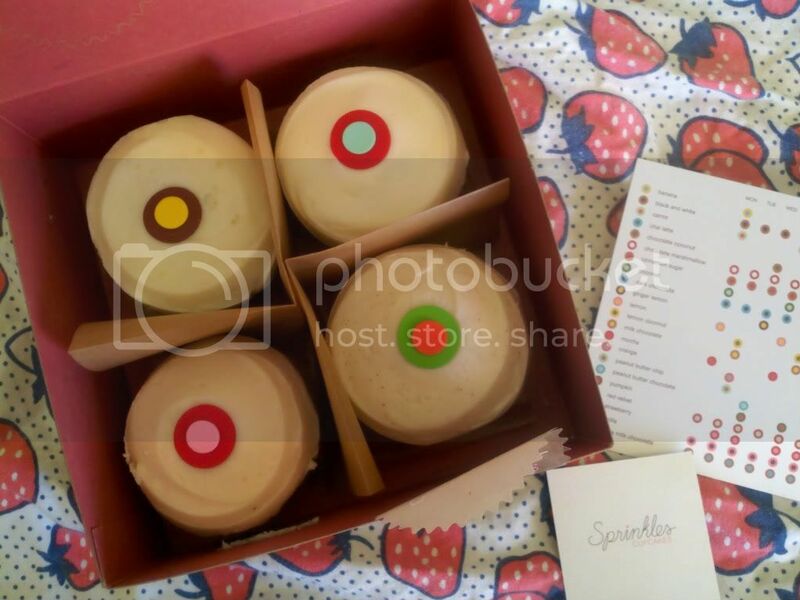 It was my birthday this weekend and my wonderful best friend brought me Sprinkles cupcakes. I'd never actually tried them before and felt pretty bad about that, since cupcakes are one of my favorite things to make! Will you forgive the camera phone picture? My lens is broken and it's making me crazy! My other beautiful friend made me an enormous red lips cake that was sparkly and shiny like my signature lipgloss. Then I went to the mother daughter church campout on my actual birthday and they surprised me by singing and giving me a mini strawberry cake (that Baby Strawberry promptly devoured). It was a great birthday. I'll be back tomorrow with a messy but delicious Dorie treat. In the meantime, I'm planning Baby Strawberry's birthday (crazy how time flies) and would love any inspiration for the perfect first birthday cupcake. I'm planning on working with my old favorite recipe and think I'll have to do pink... but that's all I have planned for now! Happy Birthday indeed. I love how those cupcakes look. I'm glad you had such a wonderful and yummy birthday! Happiest birthday wishes!! Sounds like it was a very sweet day. What lovely cupcakes! Hope you had a great birthday.